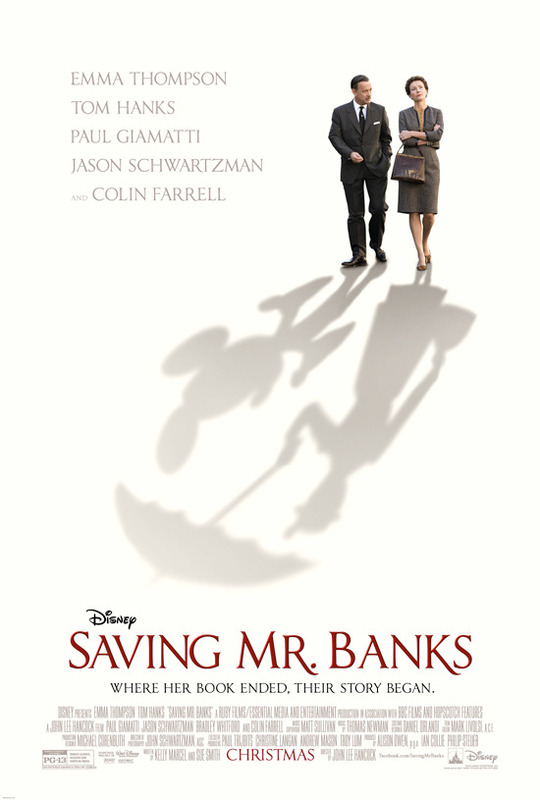 Saving Mr.Banks (2013) is, in essence, the story of what went on behind the scenes while Walt Disney was trying to secure the film rights for Mary Poppins (1964). Stylistically, it may remind one of The Godfather: Part II (1974), where we have a squeaky clean, sober looking (in a Back To The Future kind of way) present day (1960s) story riddled with yellowed-out, nostalgic flashbacks – two different stories set in two different times which are very much interrelated with each other. Watching Mary Poppins (1964) before Saving Mr.Banks will also make it easier for the audience to recognize the undeniable traces of Travers’ Father (played by Colin Farrel) there are is Mr.Banks. Hanks does not look or sound like Disney, but, what the hey, he gives a top-notch performance, so do not let that alone keep you from enjoying the film. Watching B.J Novak and Jason Shwartzman as the legendary ‘boys’ is also a real treat. Saving Mr.Banks may not be historically correct, and at times, might come across as feature length advert for the Disney Corporation. It is, though, no denying a proper Disney film with adults and Poppins fans as the primarily intended audience.